Sep. 10, 2015 – Nashville, TN. — ] Finnish duo Maria & Christian (http://mariaandchristian.com) have announced their plans to record their first country album in Nashville, TN with Grammy nominated producer Casey Wasner at his studio in Leiper’s Fork, TN. June 8th , 2015 – Lake Havasu, AZ. — ] Two Hour Wargames (http://twohourwargames.com/) in association with Lock ’n Load Publishing (lnlpublishing.com) are excited to announce the release of “Heroes of the Colosseum.” Designed by Ed Teixeira, “Heroes of the Colosseum” brings the power of two games in one box as players battle it out as both gladiators in the historic Roman Colosseum era and also compete in all out chariot races providing furious action no matter which game players choose. Get more information on Falling Stars – War of Empires from its official product page (http://lnlpublishing.com/falling-stars-war-of-empires) and be sure to visit our developers forum area (http://forums.lnlpublishing.com/forums/falling-stars-war-…). 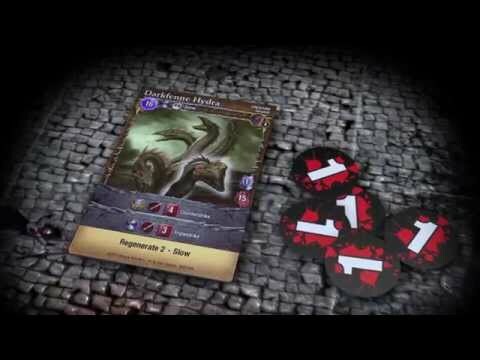 Check out the gameplay video on YouTube (http://youtu.be/5-3yodxE8Lw) and be sure to subscribe to the Lock ’n Load Publishing channels to see more great promo videos. Box art and other art assets are available from our Press Media Area or by contacting press@lnlpublishing.com(mailto:press@lnlpublishing.com).